The Horseware Ice Vibe Hock Wrap is a variation on the popular Ice Vibe Boot that's specifically shaped to fit comfortably and securely to the hocks. These rechargeable vibrating cool boots boost circulation before and after exercise to ease soreness and swelling in and around the hock. For best results use the hock boot before exercise without the cool packs and after exercise with them. 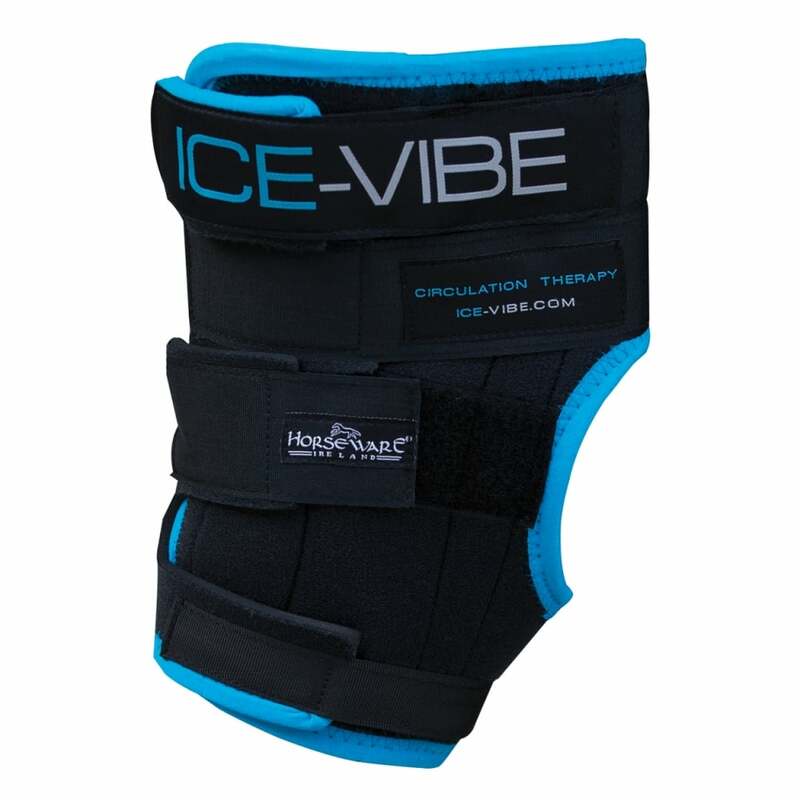 Preparing your horse for exercise is simple with Ice Vibe Hock Wraps - simply remove the cool packs and wrap this boot around the hock using a low vibration setting to get the blood starting to flow. Once you've finished exercising or competing put the cold packs in and use both cooling and vibration combined to reduce inflamation and help the tendons and muscles repair quickly and efficiently. Many people are aware that using cold boots after exercise will reduce inflamation, however, many people are unaware that cooling alone slows down the healing process as it stops the blood flow, thereby slowing down the removal of waste from the muscles. By combining cooling and vibration the Ice Vibe Hock Wrap minimises swelling whilst at the same time encouraging blood flow and speeding up the healing process. Always read the instruction manual for guidance on settings prior to using these boots.